The Home Resource Network is for any business that works with real estate (homeowners, Realtors®, investors, contractors, lenders). Our goal is to help everyone find new inspiration to build their business. We meet weekly on Tuesday's from 11:30 am - 1:00 pm. Bring your lunch if you wish. Check the schedule! Generally, the 1st and 3rd weeks are Master Mind/RoundTable/Planning meetings with subjects like How are you using social media in your business? Dealing with customer service and follow-up. What’s your best source for lead generation? or a group member may request help from the Network on a specific challenge they have in their business. On the 2nd and 4th weeks, you can expect a speaker from either inside or outside the group, such as New Tax Laws and the Effects on Your Business, Truth and Myths About Real Estate Inspectors, How to Be a Successful Real Estate Investor, The Latest Decorating Trends, How to Wholesale Real Estate. Join us and take your business to the next level. American Warriors meets each 3rd Wednesday of the month at the ACA Business Club from 1:00 PM - 2:00 PM. - A quick introduction to the concept behind American Warriors. - A 30 minute facilitated discussion (led by an American Warriors team lead) where participants contribute to learn about or explain a phrase or business concept that has differing meanings based on context or experiences in the work environment or culture. For examples, what does "personal branding" mean to a transitioning service person vs a corporate business individual? Being a "change agent" means what? What does "conflict resolution" mean? Etc. 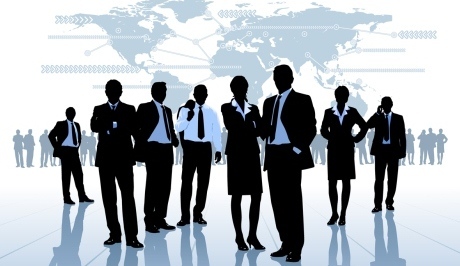 - After discussion, every one is introduced to each other, their business, and what connections or information they seek. - Each meeting is open to guests as well as current members of the Club and / or KC AUSA. 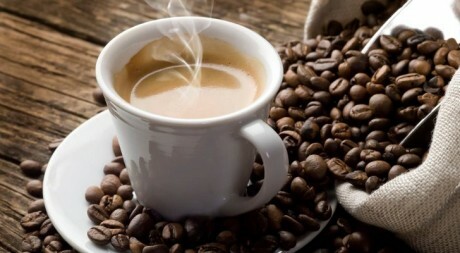 You are invited to attend the ACA Ambassador Coffee which is hosted every Friday from 9:00-10:00 a.m. Join us on Friday's at the Club which brings together members and guests throughout the Business Club for the purpose of building solid, long-lasting relationships - over a great cup of coffee! Clark is the VP of Solution Sales with Tricension, a leading business advisory and technology solutions firm based in Kansas City with an excellent track record in solving complex challenges. As a sales professional, Clark has supported his client’s needs in the deployment of large networks, customer premise equipment for switching, routing, telecom, wireless, security, systems integration, Microsoft technology, custom application development, robotic process automation, and cloud technologies. 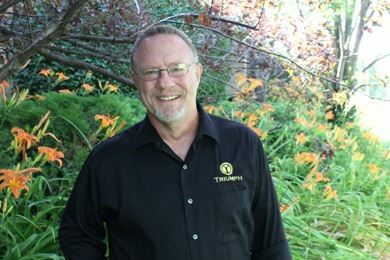 Tricension helps mid-market business owners and executives who are frustrated by the cost of managing outdated legacy applications or are unsure of how to align business objectives with IT technology solutions by defining strategy, developing new applications with the latest technologies to drive increased profitability, improved reliability, and reduced costs. Clark was born and raised in Portland Maine and moved to Kansas City in 1990. Clark has been married to his wife Patricia for 28 years, and they have two daughters. Carly, the oldest, went to Kansas and works for Lockton. Courtney, the youngest, attends the University of Missouri pursuing a degree in Textile and Apparel Management and will be working as an intern this summer for Nike. Clark enjoys golf, cycling, sailing, history, live music and helping friends, family, and clients any way he can. The ACA Ambassador Coffee is hosted by the ACA Business Club Ambassadors who represent the leading connectors within the Club, and the community. This is the place to be if you are interested in building your sphere of influence. Guests are welcome. See you at the Club! Please join us on Tuesday mornings at the ACA Business Club, 6840 West 105th Street, O.P., KS (Located at 105th & Metcalf on the East Side of Metcalf 103 Center). We hope to see you there, We hope to see you there. Business Fellowship International (BFI) is a ministry committed to equipping business professionals to impact the marketplace for the glory of God and to assist each other in achieving true and lasting success. The mission of the BFI Chapter is accomplished by providing regular opportunities for encouragement, accountability, business development, building relationships, training and outreach. This is for all ACA members to learn the first steps to network. One hour program. This discussion will center around the Question - - What do I do NOW? While looking atound this crowded room of people? It will dig into areas such as; WHY?, planning, commitment, giving, practice and confidence. "I help business owners and entrepreneurs with strong strategic habits of relationship marketing, also known as networking. This form of marketing is the most personal and also the most effective way to market your business. 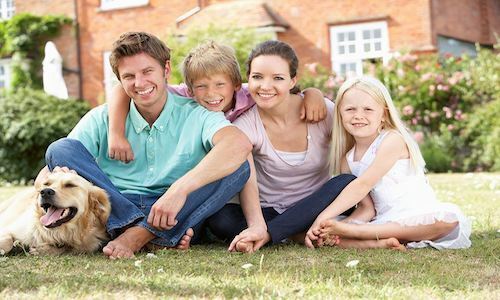 My formula will help build those all important RELATIONSHIPS that create long time clients and referral partners." Come & bring a friend and join us! Short Presentation at 4:30 p.m. Please join us on Thursday, April 25th, at the ACA Business Club Social. It is a great opportunity to meet and build relationships with fellow members and guests, as well as meet the Club leadership and learn more about all of the organizations represented within the Business Club. We had 33 donors at our last drive and potentially saved over 90 lives. LET’S DOUBLE THAT!!! Join us any time between 2:00 & 7:00 pm. Call 800-733-2767 or go to redcrossblood.org and enter Women's Connection to schedule an appointment. Come help us out even if you can’t donate. We’re looking for volunteers for registration and help in the cafe. Questions? 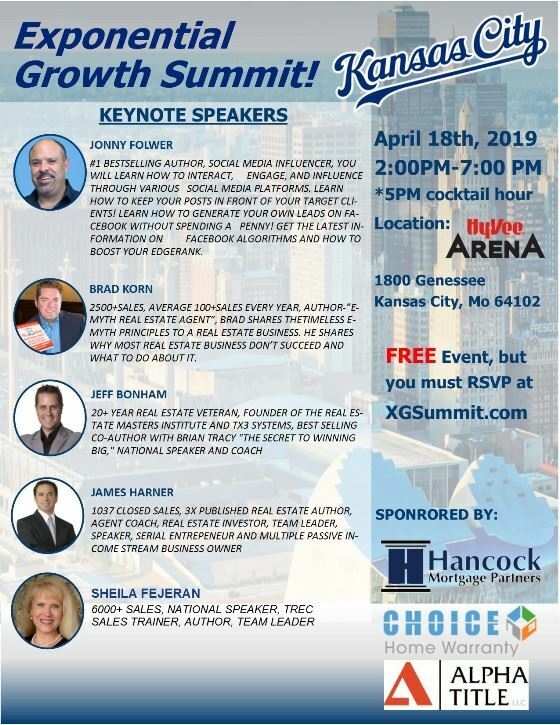 Contact Phyllis at 816-820-5196 or pcronbaugh@gmail.com. Every two seconds someone needs blood in the U.S. This could be your son, daughter, parents, or next-door neighbor. One in seven people will need a blood transfusion in their life – but only one in twenty will donate. Blood is essential for surgeries, cancer treatment, chronic illness, and traumatic injuries. A single car accident victim can require as many as 100 pints of blood. One donation can potentially save up to three lives. Whose life are you going to SAVE TODAY? Are you eligible, but not donating? Go to https://www.redcrossblood.org/ to find out if you can give and join us on Monday, April 29th. Did you know that someone can start donating and SAVING LIVES at age 16? Giving blood is a good habit to start early in life and a great way to boost self-esteem in young people. Drop in any time between 2:00 & 7:00 pm. 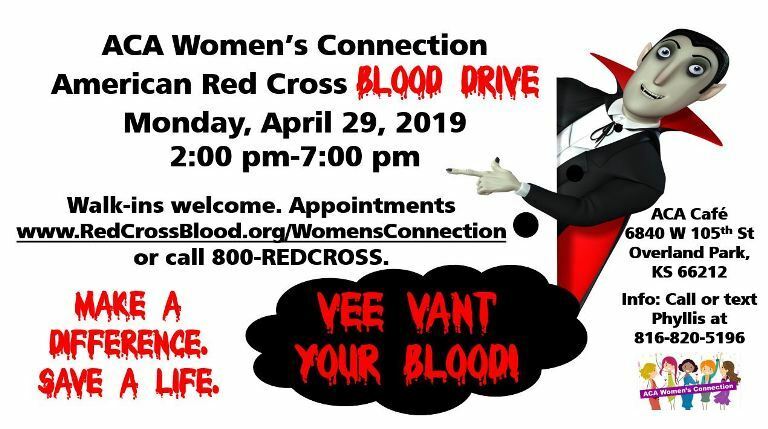 To schedule an appointment, call 800-733-2767 or go to redcrossblood.org and enter Women's Connection. Join us for the fun. Yes, meet the vampires that vant your blood. Questions? Contact Phyllis at 816-820-5196 or pcronbaugh@gmail.com. ACA’s Women’s Connection welcomes business owners, leaders, executives, professionals, management, and women, in general, seeking their full potential both personally and professionally. We are a group dedicated to sharing resources and referrals, building strategic alliances, and supporting each other as we seek to attain excellence. We work in a variety of sectors and organizations and come together to have lots of fun but stay motivated, share successes, challenges, ideas, solutions, goals, wisdom, and knowledge to make a difference in each other’s lives and our community. We’d love to have you connect with us! See you in the Cafe. At Azura, relationships are at the foundation of all we do - relationships with community and relationships with our members. Join us on Wednesday, April 30th, as we celebrate your business! We look forward to making introductions and networking together. You’ll have an opportunity to meet the leadership of Azura Credit Union, and hear about the wide variety of business and personal resources available to you! We encourage you to bring guests that would benefit from meeting your fellow members. Azura Credit Union has roots in Northeast Kansas going back over 60 years. 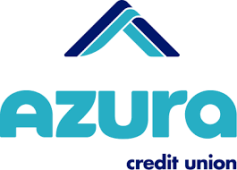 The Azura name debuted on May 1, 2016 with the merger of Quest Credit Union and Educational Credit Union. Azura Credit Union is a member-owned, not-for-profit financial institution dedicated to delivering innovative financial service, education and value through personal and community engagement. Azura has seven full-service locations and two service centers to serve our 50,000 members in Northeast Kansas. Azura Credit Union is committed to going “Above and Beyond Banking” by delivering outstanding and innovative financial service, community engagement and by improving more lives. Running a business is made easier with help from a great financial partner and business experts you can trust. Azura’s Business Team provides local expertise to meet the needs of all their business members. At Azura, our business members rest easy knowing Azura is here to help. We are hosting a party to support one of our club members in his pursuit to play on the national team in softball. The buy in will be $25.00, and there is one opportunity to rebuy. Let's get together as a Club and send John off in style. The ACA Sports Club is an organization dedicated to building quality relationships among professionals and executives that share a passion for professional and collegiate sports. The ACA Sports Club offers numerous opportunities for building relationships, entertaining clients and colleagues, and growing your business. We look forward to cheering with you! Presentation Partners Assisting ACA Members to become Dynamic Speakers! Join us on Monday from 5:00 to 6:00 p.m. 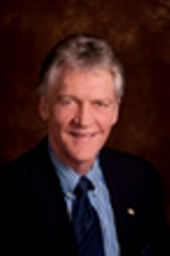 Presentation Partners’ mission is to help ACA members become dynamic speakers. Everyone in business today is a professional speaker, whether you like it or not. We present and represent ourselves and businesses at every turn. Do potential clients or customers see you as the expert, authority, and leader in your field? If not, you’re wasting your time and theirs, or worse, you may be doing your business more harm than good! Communication, speaking and presentation skills are easily learned. The next time you speak, whether it’s a 30-second spot, voicemail message, keynote, signature story, sales presentation, one-on-one, workshop, video business card, or something else, make sure you are clear and concise, and have the best chance of getting the results you desire. Join us and learn valuable techniques for efficient, effective communication. Our group consists of individuals who want feedback as well as seasoned professional speakers who give valuable feedback. We meet monthly on the 2nd Monday of every month from 5:00-6:00 pm (4:30 Leadership Committee meets). Our meetings are open to ACA members as well as others. You are welcome to invite anyone who wants to improve their presentation skills. For more information contact Phyllis Cronbaugh at pcronbaugh@gmail.com . Please join us on Thursday, May 23rd, at the ACA Business Club Social. It is a great opportunity to meet and build relationships with fellow members and guests, as well as meet the Club leadership and learn more about all of the organizations represented within the Business Club. Please join us on Thursday, June 27th, at the ACA Business Club Social. It is a great opportunity to meet and build relationships with fellow members and guests, as well as meet the Club leadership and learn more about all of the organizations represented within the Business Club. Please join us on Thursday, July 25th, at the ACA Business Club Social. It is a great opportunity to meet and build relationships with fellow members and guests, as well as meet the Club leadership and learn more about all of the organizations represented within the Business Club. Please join us on Thursday, August 22nd, at the ACA Business Club Social. It is a great opportunity to meet and build relationships with fellow members and guests, as well as meet the Club leadership and learn more about all of the organizations represented within the Business Club. This discussion will center around the Question - - What do I do NOW? While looking around this crowded room of people? It will dig into areas such as; WHY?, planning, commitment, giving, practice and confidence. Please join us on Thursday, September 26th, at the ACA Business Club Social. It is a great opportunity to meet and build relationships with fellow members and guests, as well as meet the Club leadership and learn more about all of the organizations represented within the Business Club. Please join us on Thursday, October 24th, at the ACA Business Club Social. It is a great opportunity to meet and build relationships with fellow members and guests, as well as meet the Club leadership and learn more about all of the organizations represented within the Business Club. 01/14/2019 Your Best Presentation Year Ever - 2019! 12/24/2018 Club Closed December 24 and 25th - Merry Christmas! 12/04/2018 Official Launch, Book Signing, and "How to Publish Your Own Book" evening! 11/19/2018 Premier of Phyllis Cronbaugh's New Book: "Guarantee You Are Understood and Not Just Heard"
10/25/2018 ACA Business Club Social - "Danny Clinkscale's Reasonably Irreverent Podcast"
10/18/2018 Presentation Partners Presents: Susan Harrison - "The Positive Event"
10/17/2018 Health & Wellness Club Presents: Better Water, Better You! 09/21/2018 ACA Ambassador Coffee Anniversary Celebration! 08/15/2018 Health & Wellness Club Presents: Krim Chiropractic & Acupuncture: "Don't let your spine get on your nerves." 08/13/2018 Presentation Partners Presents: Susan Harrison - "Special Tips That Make Speakers’ Great"
07/27/2018 ACA Ambassador Coffee Sponsored By ACA Cares! 07/09/2018 Presentation Partners Helping ACA Members become dynamic speakers! 05/30/2018 Business Resources from the Library?? Yes - Check it out! 05/16/2018 Health and Wellness Club sharing 5 Ways to Have More Happy in Your Day! 04/27/2018 Announcing the Kick-off of the ACA Food and Wine Club! 04/24/2018 Business Fellowship - "Lessons Learned"
03/13/2018 Home Resource Network Features:Hillarie from the Real Estate Apprentice Network! 02/27/2018 Truth and Myth About Home Inspections by Doug Cook with House2Home Inspection Service! 02/20/2018 Round Table Discussion - How Do You Fire a Client? 02/13/2018 Truth and Myth About Home Inspections by Doug Cook with House2Home Inspection Service! 02/12/2018 Presentation Partners Featured Speaker is Isaac Wambua, "Everyone Communicates Few Connect"
02/06/2018 Round Table Hosted by Home Resource Network -What is your sales process after you receive a lead? 01/30/2018 Round Table Hosted by Home Resource Network - What is your best source of lead generation? 01/23/2018 Round Table Hosted by Home Resource Network: How Are You Using Social Media in Your Business? 01/12/2018 Ambassador Coffee at the New Club Location! 01/05/2018 Ambassador Coffee at the New Club Location! 12/01/2017 "Executive Summit and Beer Tasting with Michael Crane"
11/23/2017 ACA Business Club will be closed on Thursday, November 23rd and 24th for Thanksgiving! 10/26/2017 ACA Business Club Social - Featuring the Business Development Teams!